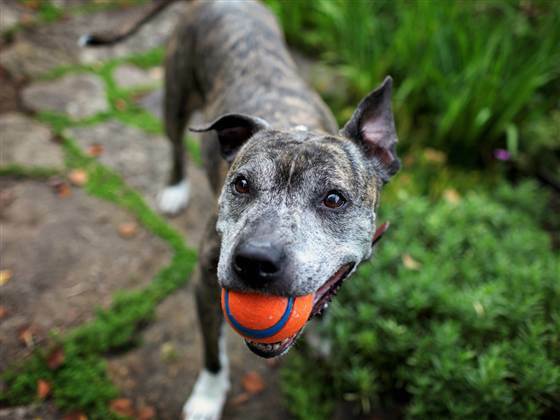 Even though your dog may be slowing down a little, there’s no reason why his later years should not be some of his most rewarding. After all, he’s wiser as well as older, and with regular veterinary attention, daily care and proper nutrition, your senior dog can still experience a very happy, healthy life. However, you can’t ignore the fact that your dog’s body condition will change as the years go by. Important bodily functions, normally taken for granted, may start to slow down or malfunction. Just like humans, the senses eventually start to deteriorate, leading to impaired vision, hearing, taste and smell. Appetite may decrease and very old dogs often get thinner, with the shoulders and spine becoming more prominent. 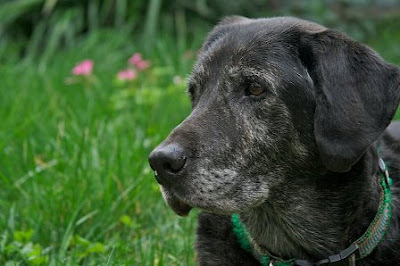 Senior dogs have different care requirements than those of a younger dog. This fact probably doesn’t come as a surprise to anyone. But how do you know when your dog is considered to be a senior? It really depends on the individual dog. In general, giant breed dogs age faster than smaller breed dogs. A Great Dane is considered to be senior by roughly 5-6 years old whereas a Chihuahua would likely only be middle-aged then, and probably not considered a senior until 10-11 years. Large breed dogs fall somewhere in between. A Labrador Retriever might be considered senior by 8-10 years of age. Genetics, nutrition, environment; all of these play a role in how fast your dog ages. In addition to a dog's breed, specific lifestyle factors – such as diet, exercise and medical history – affect how long a particular dog will live. The most practical way to tell if your dog is growing old is to observe his or her behaviour and appearance. 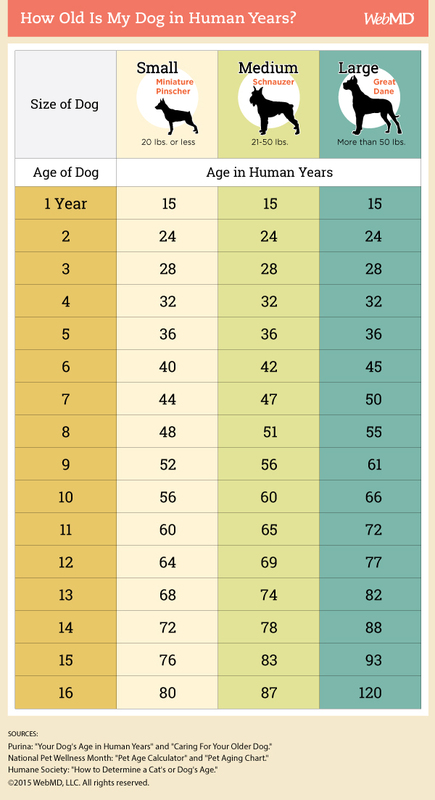 Simply put, how old does your dog act, look, and feel? 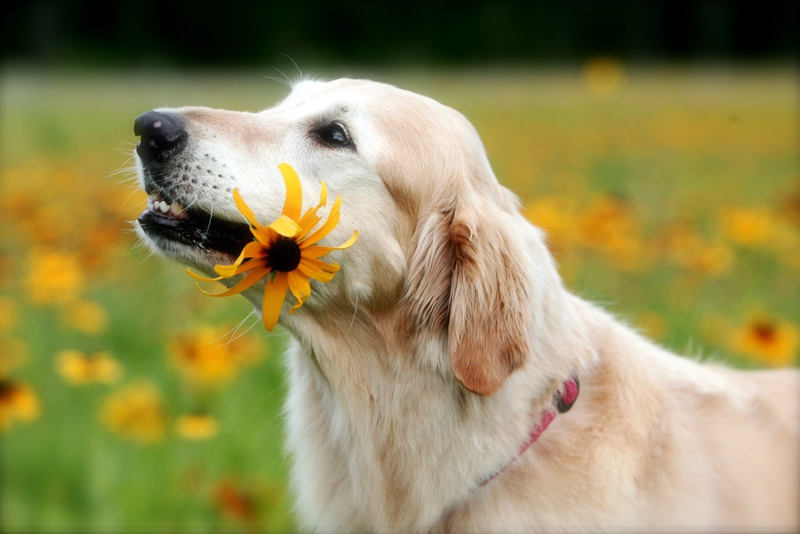 Your dog may develop arthritis or other degenerative diseases that cause him to slow down. He may not be able to walk as far or play as long. He may tire more easily. He may have difficulty getting up or finding a comfortable position to sleep in. He may experience apparent stiffness in the joints and have difficulty getting up after lying down, or after a long walk. He may become reluctant to go up and down stairs or have difficulty getting into and out of the car. Senior dogs frequently suffer from kidney disease, liver disease, heart disease and other conditions that may result in weight loss. On the other hand, some senior dogs may have the opposite problem. Some dogs will become less active with age, essentially becoming couch potatoes, and will gain weight as a result. Obesity in a major health issue in dogs of all ages and senior dogs are no different. Thicker, less pliable skin. Rougher and thinner coat, with bald patches or white hairs. Deafness, revealed by a failure to respond to commands or calling their name. Tooth and gum conditions – look out for food being dropped or excessive salivation and pawing at the mouth. Swellings below the eye may be signs of tooth root abscesses and need vet attention. Warts, fatty lumps and even tumours may appear. Check these out with your vet, as early detection may save your dog's life. Excessive thirst and frequent or uncontrolled urination. Depression, disobedience and occasionally destructive behaviour. NB: These last two could be indicating that your dog suffers from Canine Cognitive Dysfunction (CCD) or dog dementia. A hazy, bluish cast on the eyes, which is normal and usually does not hinder the eyesight. However, the hazy, whitish growth of cataracts can lead to blindness. Your vet can help you distinguish the difference. A tendency to sleep more during the day but sleep less at night. Some dogs may prowl around the house at night because of sore joints, senility or even loneliness. The day will come when you’ll start spotting the signs of old age but that doesn’t mean you have to wrap your dog in cotton wool and start to worry. You just need to adjust your routine and take a few precautions. A consistent daily routine is important to your older dog's physical, mental and emotional health, providing comfort and a reassuring framework. Regular check-ups (twice a year) with your veterinarian are a must for older dogs. In addition to annual vaccinations and examinations, talk to your vet about special geriatric screenings for your dog as many diseases are not apparent. Also, try to keep a record of any warning signs and report them to your vet. Ask for a body condition evaluation during each vet visit. Body condition is crucial to determining whether your senior dog is overweight, underweight, or at an ideal body weight. It can help keep your older dog lean and maintain healthy joints and muscles. However, tailor your dog’s exercise needs to his individual requirements. For a large breed dog, walking around the block is probably just getting started but for a tiny Pug, a brisk walk around the block may be a long trek! If your senior is not used to exercise, start slow and gradually increase the intensity — and only after you’ve consulted a veterinarian. Also, be careful with short-nosed dogs on hot days as they're prone to heat stress. In general, dogs of seven years and older start taking life a bit easier and, as a result, their nutritional needs start to change once more. Senior dogs are less active and have a slower metabolism, so fewer calories are required. But high-quality, easy-to-digest protein becomes more important than ever, to help maintain overall body condition. Also, learn to read the dog food label and choose a diet that is appropriate for your dog’s age and lifestyle. You should feed your dog once or twice a day, but may find your dog prefers to eat smaller meals more frequently. This is quite normal, as it’s easier to digest several small meals than a few large ones. Overweight dogs have a higher incidence of diseases such as diabetes, heart disease, skin disease, even cancer. Your veterinarian can help you choose an appropriate diet for your dog, especially since overweight dogs must be fed carefully to ensure that all nutrient needs are met while still allowing for weight loss. Consider fortifying your senior dog’s diet with fatty acids such as DHA and EPA. They have been shown to be useful for dogs with mobility issues due to arthritis or other joint diseases. Nutraceuticals containing Glucosamine and Chondroitin are also beneficial for senior dogs. Consider a special diet if your older dog has heart or kidney disease. For example, diets lower in sodium are sometimes advocated for dogs with heart disease, while diets which help control phosphorus, calcium and other electrolyte levels are given to dogs with kidney disease. Your veterinarian can help you choose the best food for your dog based on your dog’s individual situation. Routine dental care from your vet is very important, as older dogs are more prone to gum disease and tartar build-up. In addition to regular visits to a professional, it's always a good idea for you to check your dog's teeth and gums regularly. Brushing your dog’s teeth may seem like a silly idea but it can help keep your dog’s mouth healthy. If you cannot brush, consider dental treats and use a dental chew toy that helps keep the teeth clean. #7. Provide plenty of toys to keep your senior dog occupied. Food puzzles, for example, are not only useful for entertainment but for weight loss purposes as well. For instance, dogs with arthritis might benefit from soft bedding in the form of a special dog bed or towels/blankets on which to sleep. 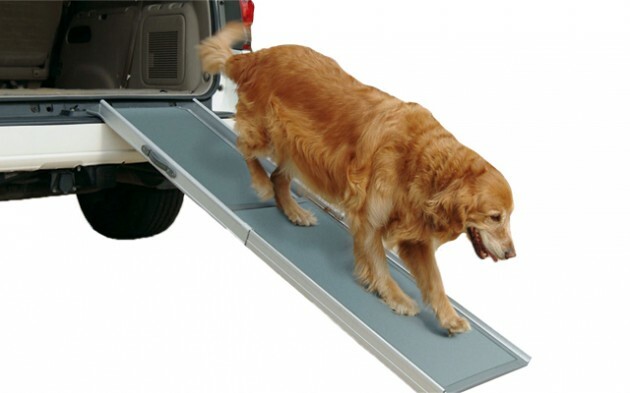 Ramps can be used to make stairs easier to navigate if they cannot be avoided. Even providing carpeting or rugs over hard-surface flooring can help your arthritic dog gain his footing and make it easier for him to get around. Try to be sensitive to what your older dog is going through and understand that a lot of psychological changes are taking place. Instead of letting it worry you or deter you from adopting a senior dog, use it as a reminder to live in the moment. Daily care of your older dog requires a little more patience on your part. Your loving care and commitment really helps create true quality of life during these senior years.